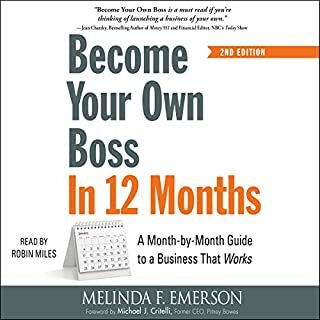 Written by America's number-one small business expert, this essential audio handbook shows you how to launch your own business in just 12 months. Using her years of experience in business development, Melinda Emerson guides you through the process with step-by-step instructions for developing an effective marketing plan, setting a budget, and maintaining your business once it's up and running. 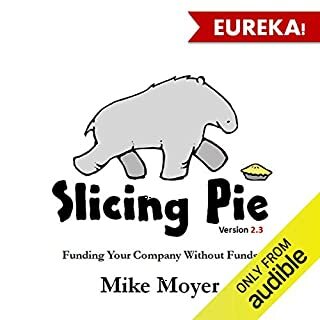 She also offers brand-new strategies for obtaining financing through means like crowdsourcing as well as social media techniques that help build your business - all of which has been updated for today's market. 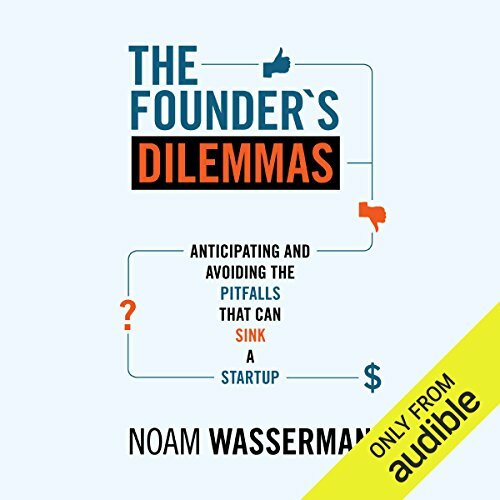 Would you listen to The Founder’s Dilemmas again? Why? I appreciated the research based findings. What does Mark Mosely bring to the story that you wouldn’t experience if you just read the book? 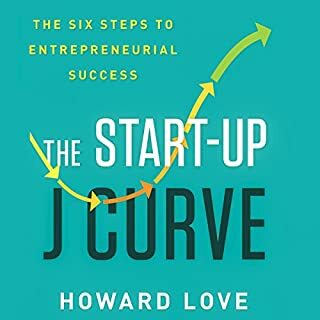 So many entrepreneurship books are just stories and anecdotes, this one is actually based on the findings of research. It's really fascinating! What was most disappointing about Noam Wasserman’s story? 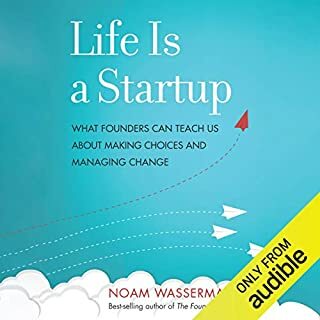 Before buying I was excited that Noam has gather data from 1000s of businesses but after completing the book, the book was more towards sharing and talking about the data instead of using those data to create insights and actionable knowledge for the listeners. Who would you have cast as narrator instead of Mark Mosely? Mark could have added more emphasis into his tones at different points of the book. There wasn't any feeling in his reading. It's like the tone is same when the founder's company went bankrupt and when the founder's company went IPO. Disappointed because there was too much sharing of the data instead of giving the listeners actionable knowledge to the data. If you want a great book which applies the author's insights from his data research + a narrator's tone which emphasis key points on the books, get Great by Choice by Jim Collins. Would you try another book from Noam Wasserman and/or Mark Mosely? Yes, I actually bought the paperback version. What didn’t you like about Mark Mosely’s performance? There wasn't anything wrong with the performance, but this book has diagrams and information that is better digested on paper. Probably worthwhile to refresh your mind on things to think about, but it's basically a restatement of common sense, backed up by great statistics. Here's the entire book in a nutshell: 1) founders' motivations fall on a spectrum between control (being king) and cash (making money). Decide where you are on the spectrum and act and make busienss decisions consistently with that. Inconsistency in implementation of that can damage you. 2) mixing business and personal relationships is fraught with danger. Work with people who you've worked with, not your family or friends. What did you like best about The Founder’s Dilemmas? What did you like least? It was very informative however, for an audio book to rely on charts and graphs is kind of tough. The material is very good and has some insights that are useful, overall the content is not too bad, it is very all over the place but not a bad book. Would you be willing to try another one of Mark Mosely’s performances? I thought it was awful, it was like listening to hours of an overly dramatic movie trailer actor. I was barley able to make it through with the way the narrator, I would never buy another book by this narrator it was just too cheesy it was overly dramatic for the context and painful to listen to. The subject of this book is very fascinating and I really want to know, but the way this book is written is pretty chaotic. You can sense that it is written by a researcher-type writer who wants to beat you to death with facts. He uses a lot of other people as examples, but in a way that he constantly switches between characters so you quickly get lost. The narrator, though he uses a lot of intonation in his voice, sounds a little like a news anchor which, in combination with the detailed level of information and chaotic writing style, makes you tune out time and again. It requires a lot of effort to stay focused on listening and understanding the point. That makes it unsuitable to listen to in the car in my opinion, which is the whole reason for me to listen to audio book versions instead of reading. But if you listen to it behind your desk and take notes, it might work. 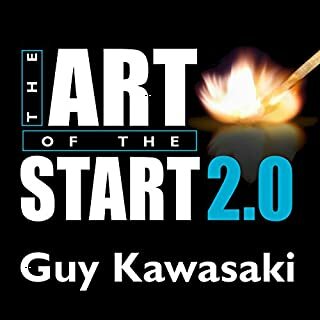 I do recommend reading or listening to this book, because of the topic it adresses, but you must be really focused all the time to understand it. The reader's voice was so monotone and boring my mind kept wandering. I couldn't even finish and moved on to a different audiobook. Maybe I'm just used to listening to overly passionate readings but this one sounded so robotic that I stopped listening. Amazing book, very informative, and gives tremendous insight! This book is truly a must read! Really interesting base material and research into the problems and issues faced by founders and entrepreneurs. 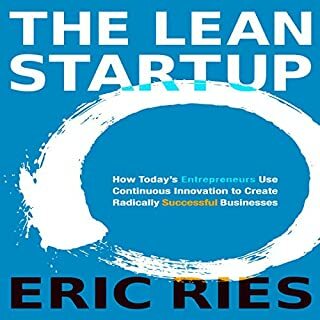 Based on wide-ranging research there is a lot of useful information for entrepreneurs and founders. This book should be a No.1 blockbuster book, but it isn't. The problem is that is that the writing and narration is so boring it is a real struggle to get the gems contained in the book out. I had to listen to it in small chunks otherwise I realise I just zoned the drone out. A lesson in how to turn interesting and vital research material into boring and unappealing drudgery. I had lecturers like this! I thoroughly enjoyed this book. Its mixture of hard data analysis and case studies allows you to take in the information and see how ito interpret it when faced with your own dilemmas. I particularly liked the discussion around how to hedge against the possible downside that comes with certain choices. A must for anyone wanting to start their own business. Pleasant narrator, easy to follow. Clear and precise illustration of connections and pitfalls of the various decisions startup founders have to take. The content is outstanding and is essential to every new founder, but the reader is too fast and his voice doesn't keep you engaged. Well presented facts to challenge any budding or seasoned entrepreneurs to consider and dialogue about to achieve the best decisions for the best win/win results. Being a huge Jim Collins fan, I saw parallels in style and strong research based material. The real life stories were great. I'm sure it's not easy to do but I think at times I found some of the storytelling jump around too much from example to example where I had difficulty connecting to the lesson for those stories. Refining into larger overarching principles and sticking with examples from companies for longer to embellishI think would have had even greater and simpler learning and retention. All I all though it was still very good.